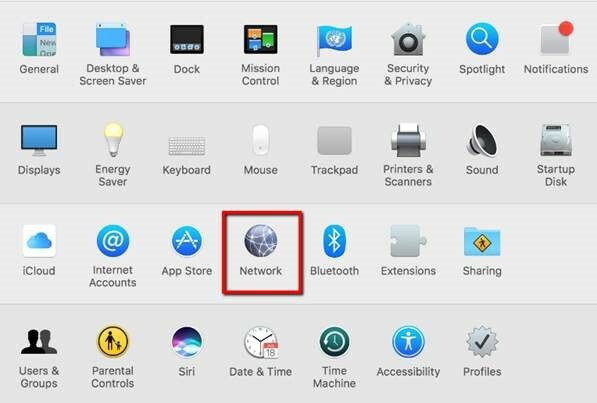 How do I check DNS settings on an Apple MAC? Ensure that Ethernet is selected. Now click on the Advanced button. Posted - Wed, Jan 30, 2019 12:27 PM. This article has been viewed 779 times. Can I use the BitTorrent peer-to-peer file sharing application on the University network? 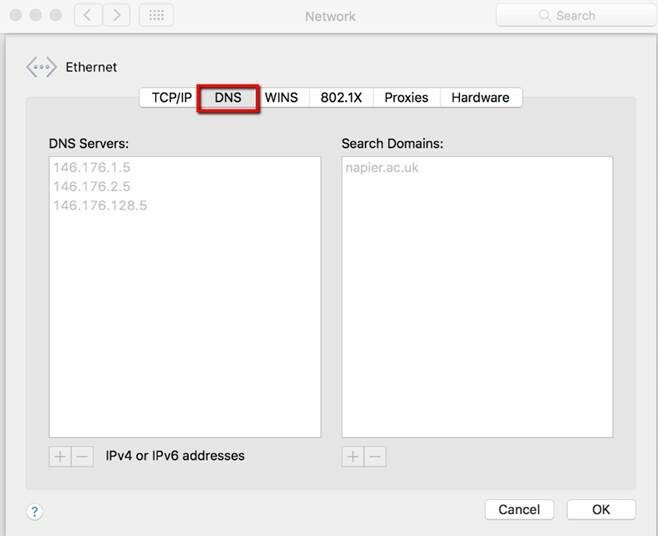 Why am I unable to use third-party DNS Servers? Can I use the Tor anonymity network on the University network? How do I change DNS settings on Windows 10? How do I change the DNS settings on Windows 7? 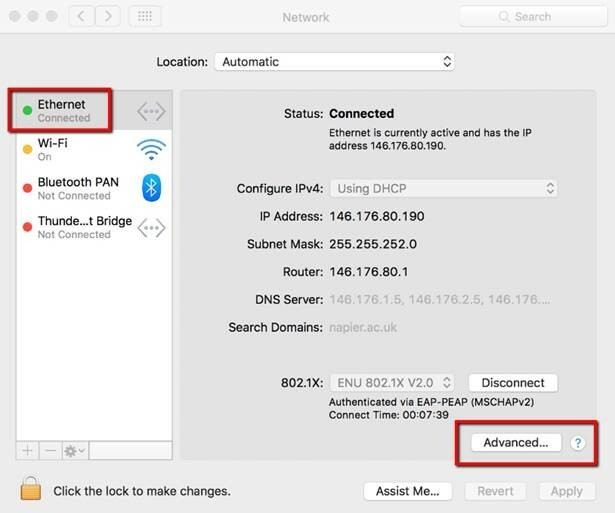 How do I find the MAC address on my mobile device?